The Spartan Blades Nyx knife is named after the goddess of darkness and night, and the blade lives up to its shadowy name. 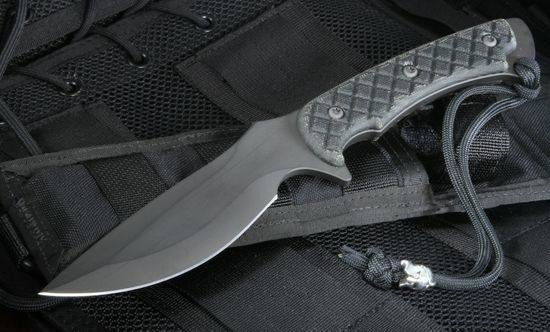 This knife is designed for combat or field use. The Nyx is made for the military but is useful for anyone looking for a great all-around fixed blade knife. The Nyx's 5 1/8" CPM S35VN steel blade is a versatile stainless steel and will provide the toughness and edge holding capabilities that you would expect from a high-quality American-made knife. 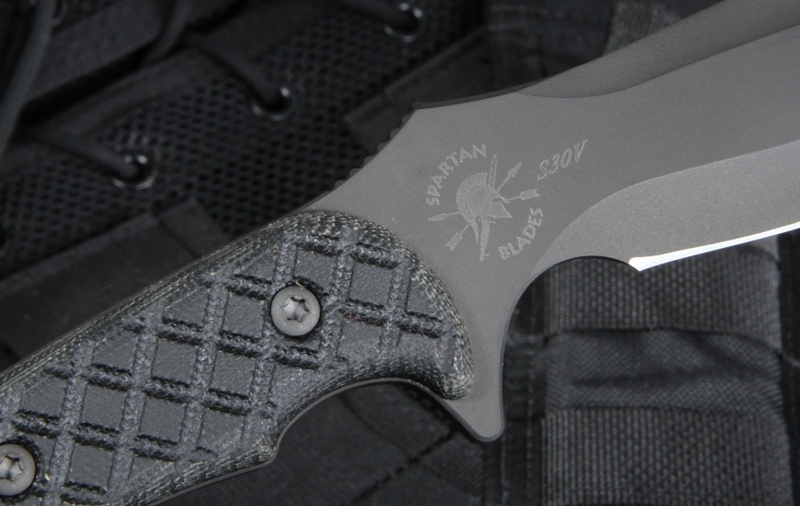 The S35VN steel is coated with a physical vapor deposition process of DLC (diamond like coating) which Spartan Blades calls is Flat Black SpartaCoat. The blade allows for added cutting power through its deep belly edge geometry, which allows for deeper, more controlled slicking. The full tang design features a filed thumb ramp on the top of the blade and index finger guard on the handle. The design also features an exposed tang in the rear of the knife and a long false top edge. The coating keeps the RC 58-59 Crucible S35VN stainless steel both protected and non-reflective. 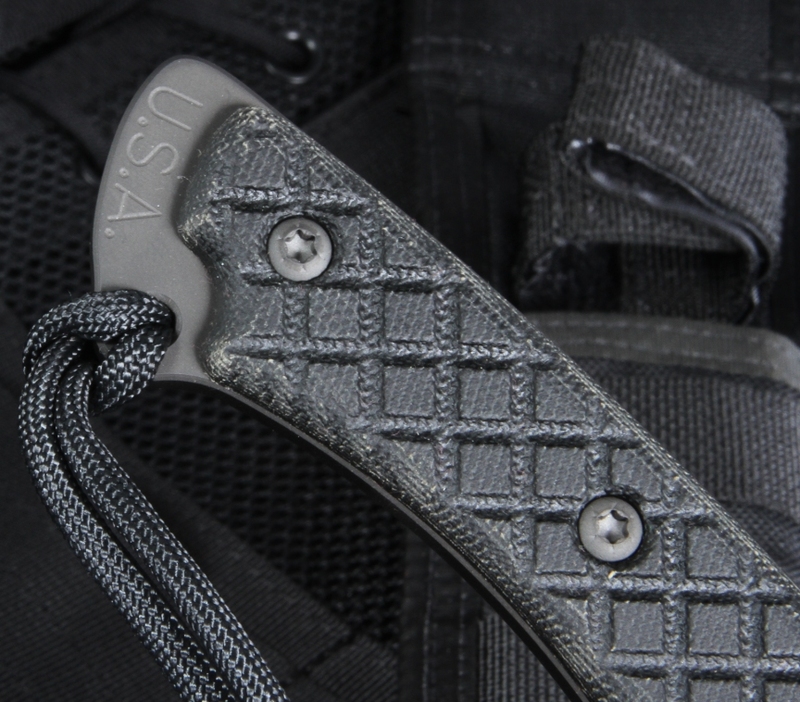 The knife package is completed with a black nylon MOLLE sheath, lanyard with Spartan helmet bead (specially included with the Spartans that KnifeArt.com sells) and a lifetime warranty.